Celebrate Grants Pass, Rubtsovsk and Sister-City friendships at Russian Winterfest 2019. EVENT DETAILS: Russian music, food, and fellowship are all part of the fun, along with a video of the recent delegation of young doctors from Rubtsovsk, who were here in October 2018. In addition to the potluck, a raffle for Russian-themed gift baskets is planned. 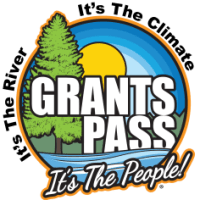 Information about upcoming events, programs, and how to get involved with the Grants Pass Sister City Committee also will be provided along. WHO: Open to the public, Russian Winterfest is free, but guests are asked to bring a potluck dish. Russian cuisine especially welcome. Reservations are not required, but an RSVP is appreciated.